OMS – Where Can I Find the Sealed OMS MPs / Intelligence Packs? Sometimes you need to have the sealed version of management packs / intelligence packs which get’s downloaded from OMS. You might need them as reference in your custom management pack solutions or maybe just to explore it. 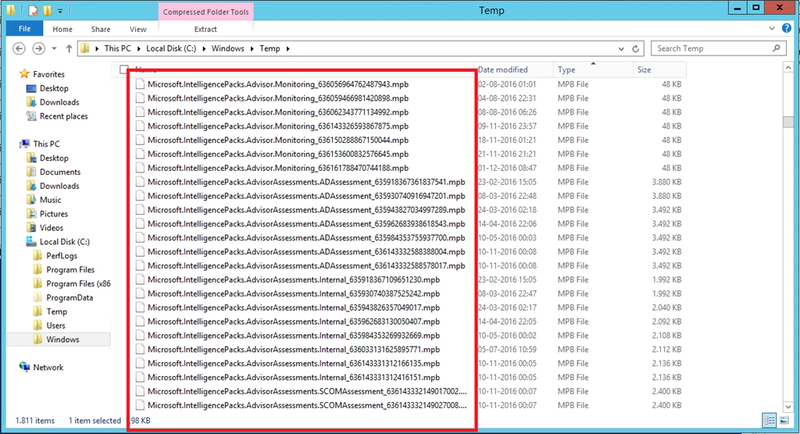 You can find the management packs in your C:\Windows\Temp folder on your SCOM server. As you can see the name of the files corresponds to the solutions in OMS. I hope this quick tip saves you some time.